He'd done this before the first time we came; this was the only job he repeated. 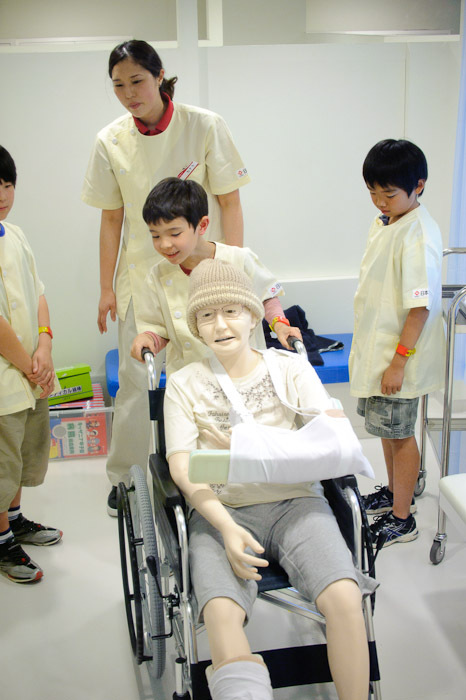 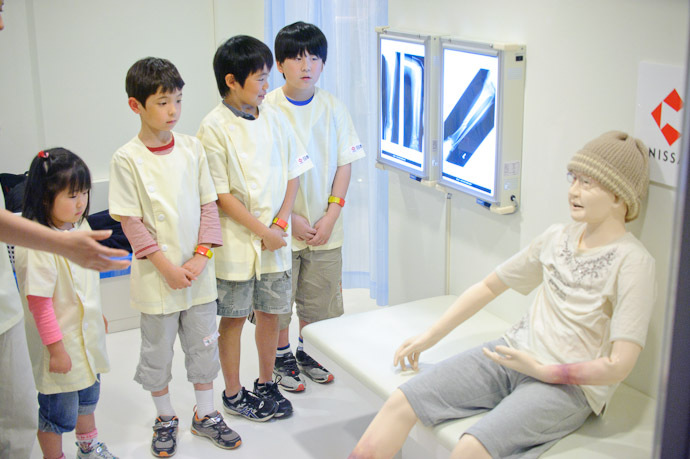 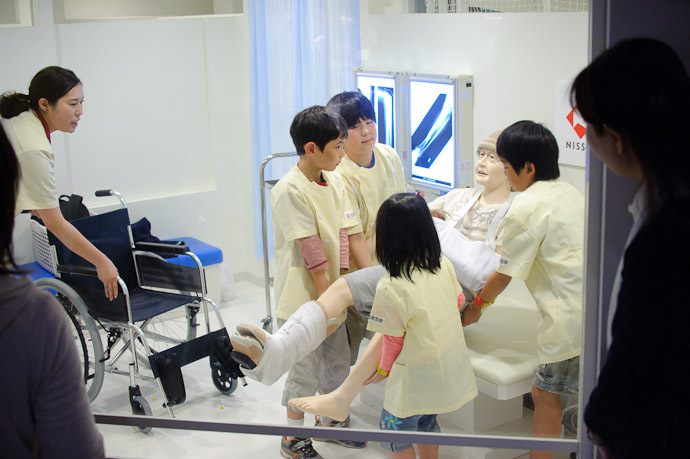 It was getting late, but he was lucky to get one more experience in before KidZania closed for the evening: health-care aid. 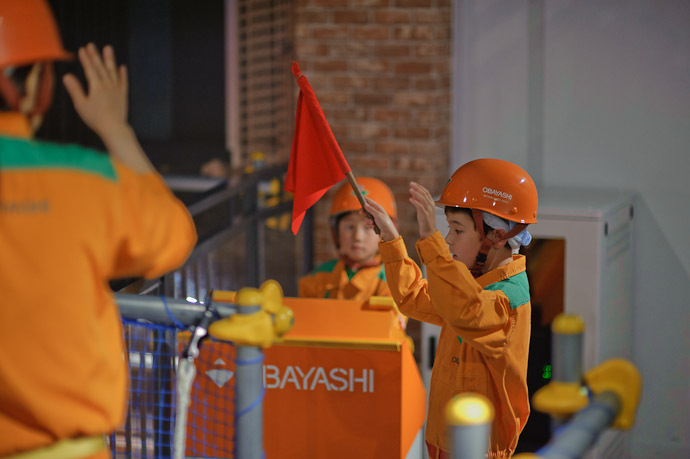 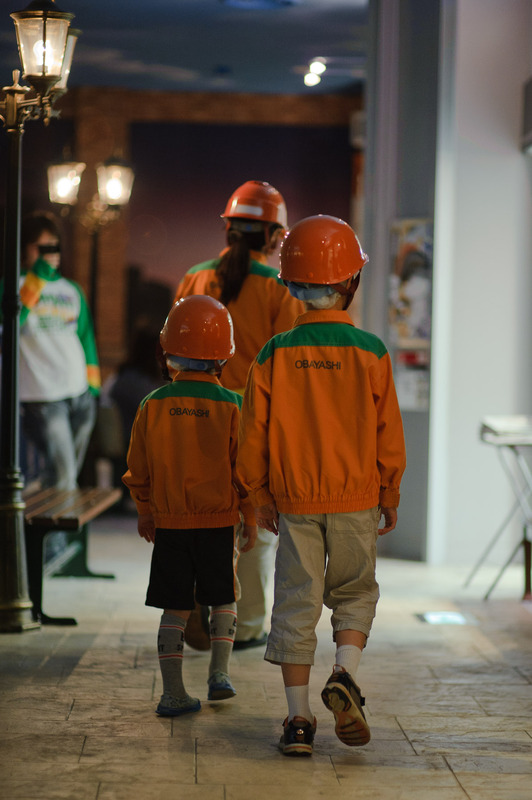 And with that his second trip to KidZania was done.